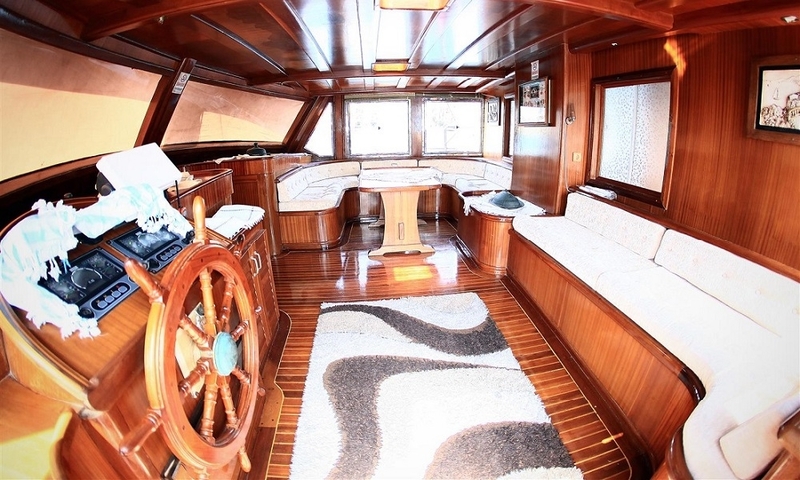 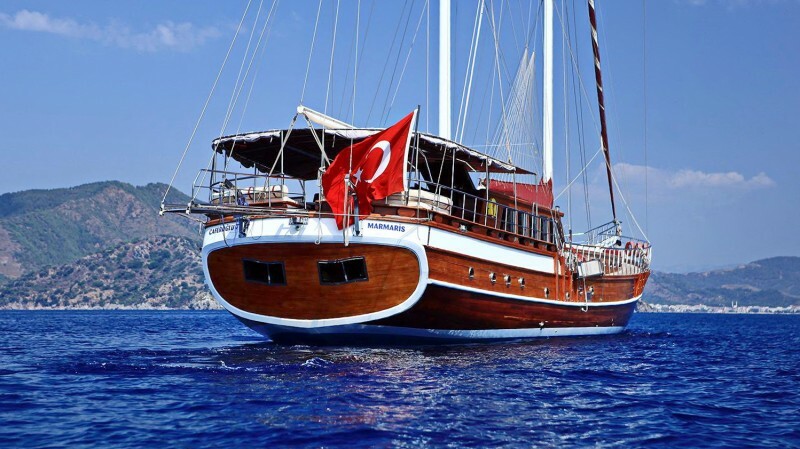 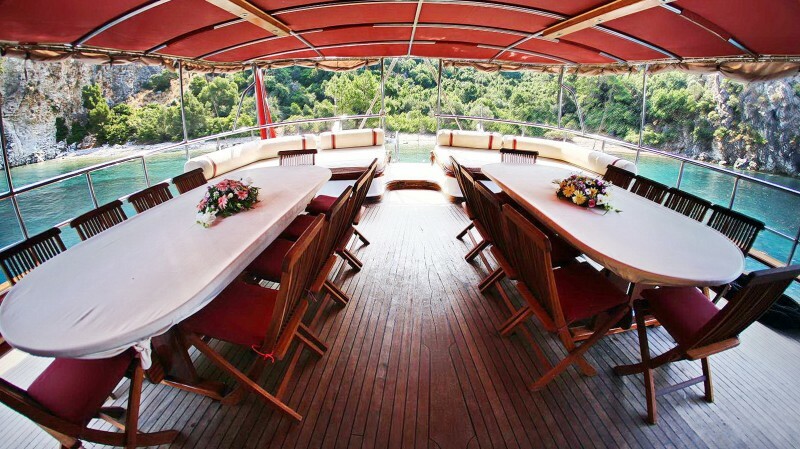 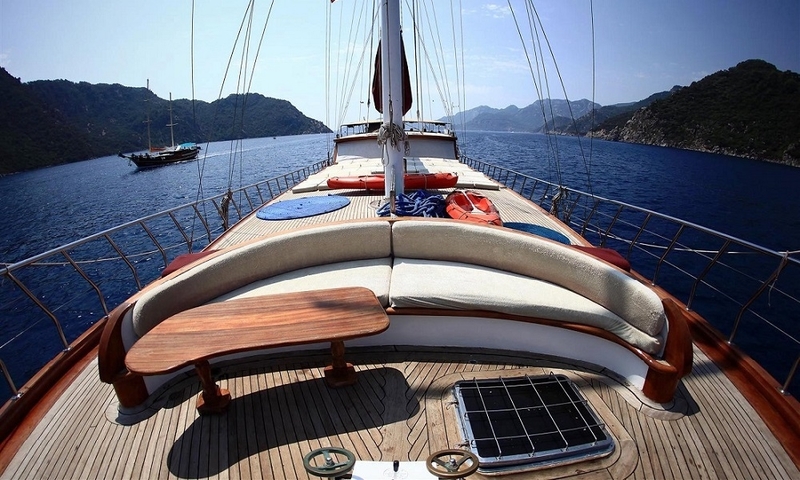 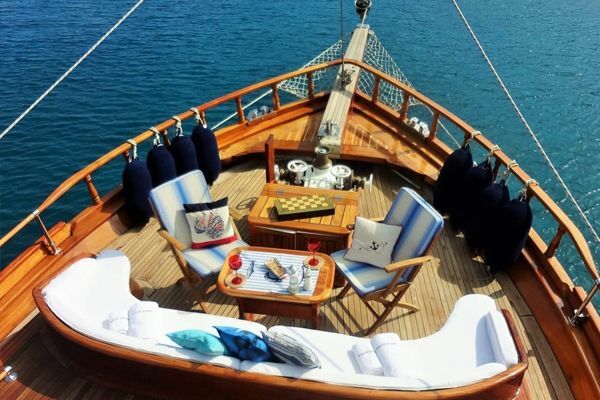 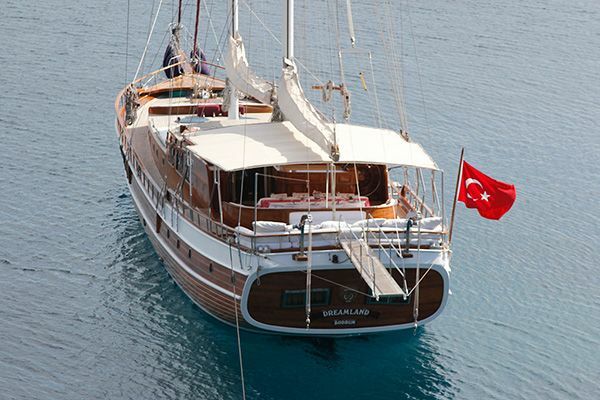 The classic luxury class gulet Caferoglu 7 is a one of the few gulets suitable for large groups, being comfortable, spacious and able to take its full capacity of guests along theTurkish coast and to the Greek Dodecanese Islands on an enjoyable gulet cruise holiday. 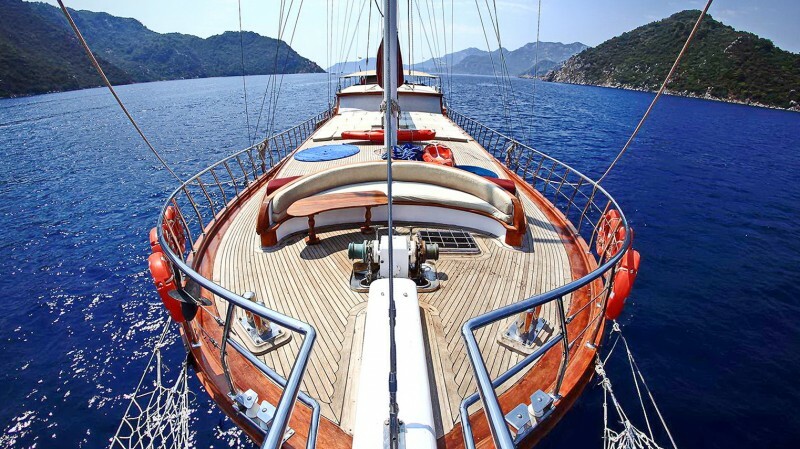 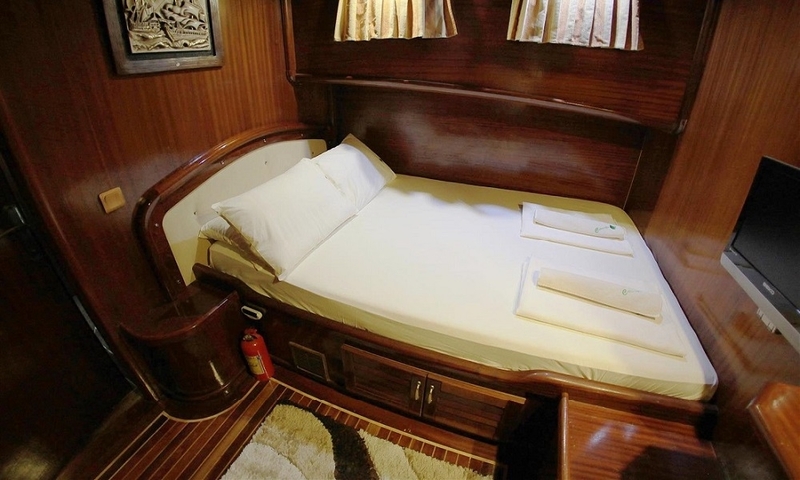 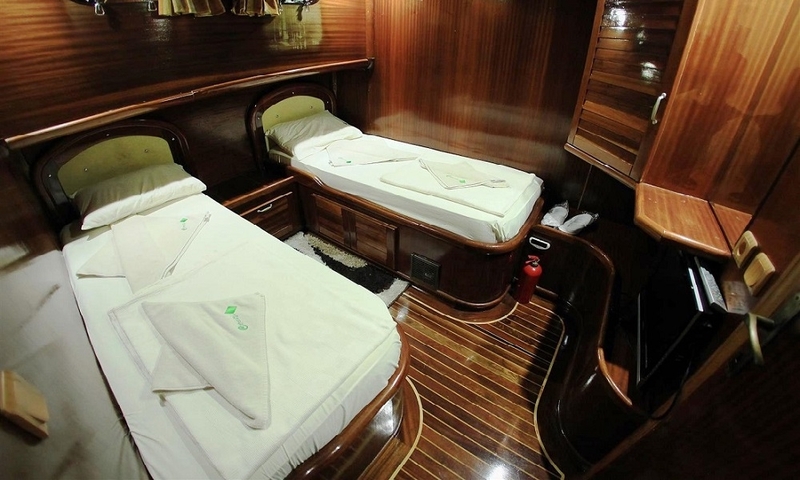 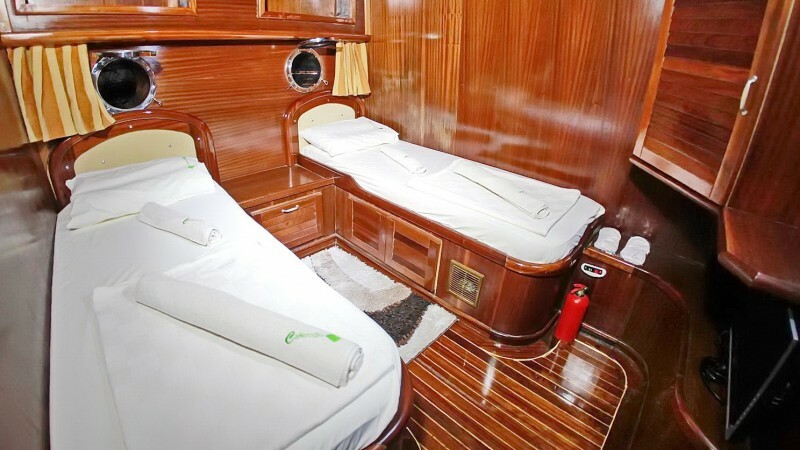 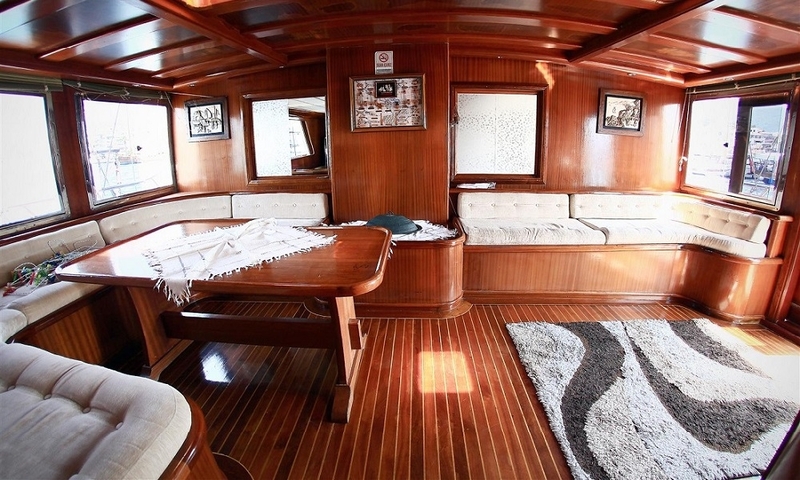 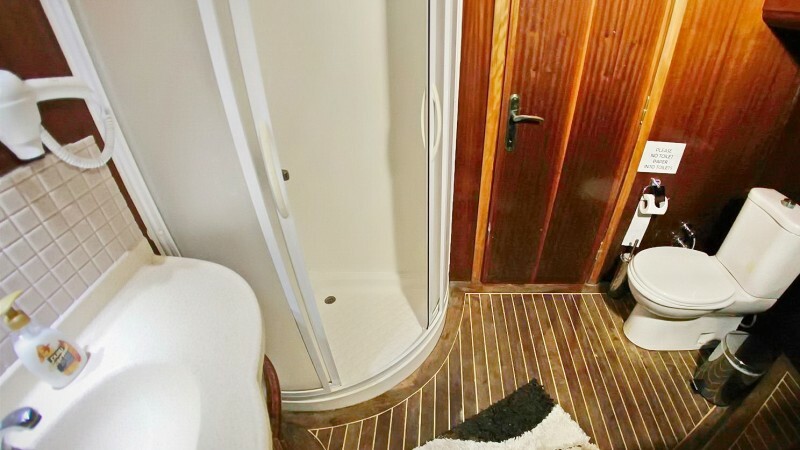 Private gulet Caferoglu 7 can accommodate for up to 22 guests with the total of 11 cabins.Each of the six double and five twin cabins have their own bathroom and air-conditioning, while the shared spaces found on deck forward and aft, in the shade or sun are generous and with many cushions or sunbeds. 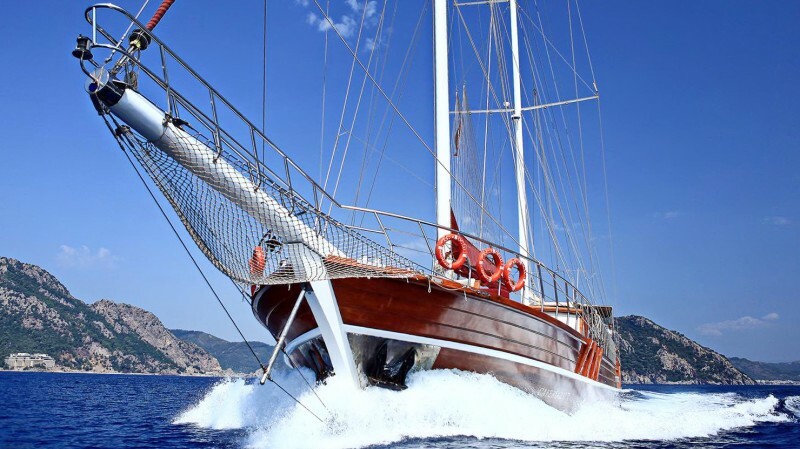 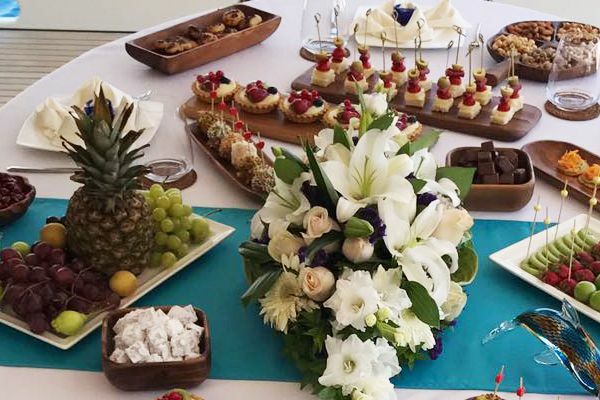 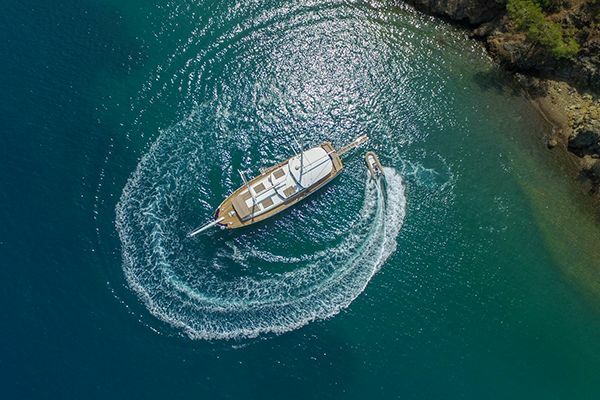 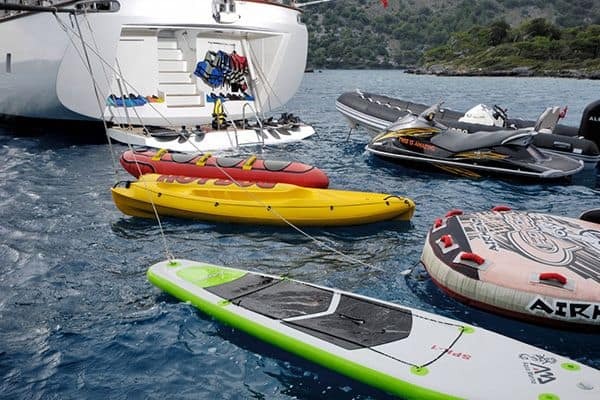 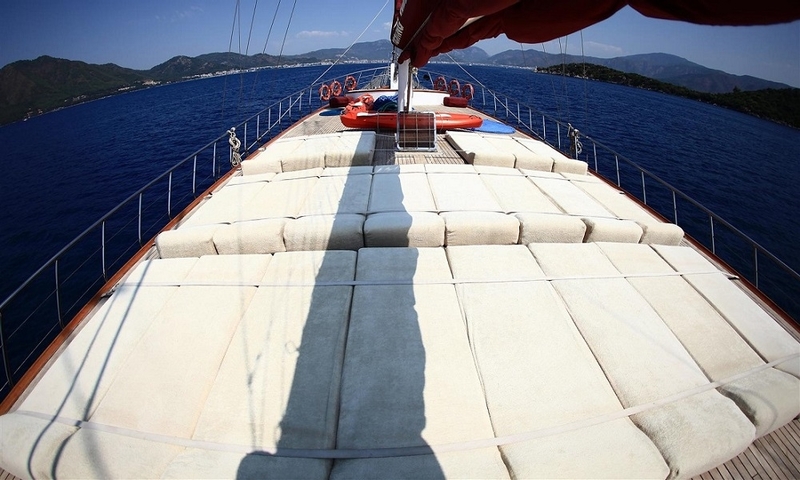 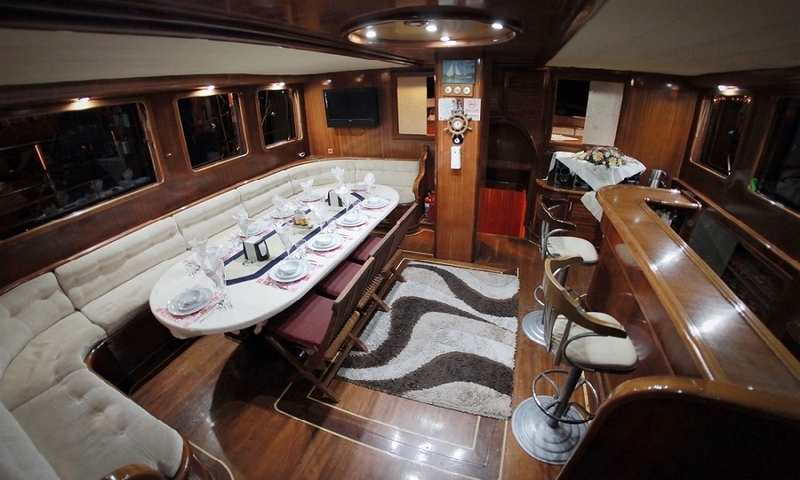 The crew of seven on yacht Caferoglu 7 offer a high standard of service and meals, and make the guests feel at home and very relaxed while they enjoy the fabulous “Blue Cruise” on the Aegean sea, sometimes even under sail with Caferoglu’s full set of sails.